Sour Crisp Cookies from The Plug Seedsbank are feminized seeds with sativa dominance. For their development, a powerful Cannarado Genetics' Cookie Crisp F2 mother was combined with a super resinous Sour Dubble. The result is spectacular, a plant with great yield with dominance of Cookies genes, a sought after variety in recent years. 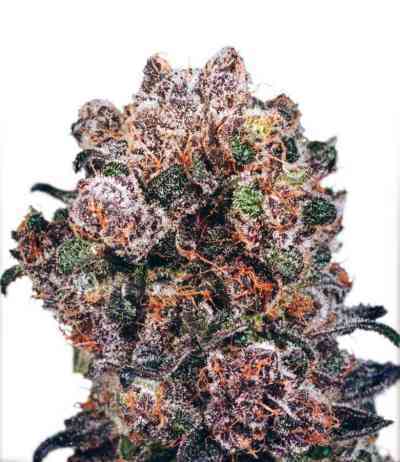 Indoors, it is a genetics that grows with great vigor and despite its sativa dominance is very easy to cultivate. It tends to stretch and pruning or cultivation in SCROG is recommended. It is also very suitable for SOG crops from small cuttings, as it produces long thick tails. From the moment the photoperiod is changed to flowering, it is harvested in about 60 days, with high yields. The odours are intense and penetrating and it is recommended to use a carbon filter. Outdoors is a plant that due to the hardness of its buds, it prefers slightly dry climates. In this type of conditions, it is advisable to prune to reduce the size of the buds, increasing their quantity. It is harvested during the second fortnight of October, with some phenotype a little faster and more indica effects. The taste is delicious, like butter biscuits. The effects are powerful, psychoactive at first with a more relaxing end. In general is a very balanced variety, cheerful and fun to enjoy at any time of day.